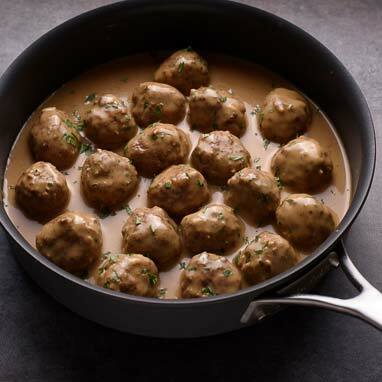 Pork, beef, sautéed onions, milk, and bread crumbs combine to make moist and tender Swedish Meatballs. To keep them tender and moist they are seared in a pan and cooked in creamy gravy. Hold them in a crockpot or double boiler to keep warm during the game.